Home : Blogs : Liv Boeree : Should Women-Only Tournaments Exist? There’s been renewed discussion within the poker community on the topic of women-only tournaments and other female focussed marketing strategies, generating a lively 2+2 forum debate on whether they should exist. It’s quite clear from the healthy field sizes (the WSOP event gets >1000 runners for example) and the fact that some regulars rarely play “open” tournaments, that these events are much appreciated by the people they are designed for. The reasons for this popularity are numerous, the most noticeable and controversial being the treatment of female players at the live or virtual felt. This isn’t what I want to focus on though; any discussion of gender-based hostility or derision will only confirm the beliefs of those who already fight against it, or go over the heads of those that believe that these ill-treatments aren’t harmful or are too rare to be relevant. Instead, I want to examine the logical arguments commonly used by those for and against women-only tourneys. As many have correctly pointed out, the reason businesses market towards under-represented demographics is because they see an opportunity for growth. Women are a massively under-represented demographic in poker, with an average of 0.7 players at a live poker table being female*. As such, poker companies like PokerStars, WSOP etc make the correct business decision to target these groups in ways they find to be most effective, which include women’s-only events and dedicated female community blogs. In an ideal world, there would be no need to market mental-only disciplines such as poker to women – but despite massive reductions of gender stereotyping and inequality over the decades we are still a long way off those ideal equal female/male ratios. And what if “over-marketing” those disciplines to women are likely to speed up the arrival of that ideal-ratio world? Prohibiting it would then be detrimental to that cause. What I find surprising is that many people who choose to be active in poker forums would argue so strongly in favour of a moral ideology when it is very likely conflicting with both their goal of growing poker, and of creating a gender-equal poker world by slowing down the equalisation process! It seems logical to apply some flexibility in that ideology to provide a practical solution to both of those issues. * This is my best-guess estimate from experience. The number can obviously vary above and below this significantly. ** I tried very hard not to put a dumb “balancing our range” pun anywhere in this blog. I failed. Liv Boeree was born in Maidstone, Kent and grew up as a guitar-playing equestrian before graduating from the University of Manchester with a degree in Astrophysics. She has over $2.5 million in career live tournament earnings, and is a European Poker Tour Champion and member of Team Pokerstars Pro. She is the co-founder of the charitable initiative Raising For Effective Giving, which encourages poker players to donate what they can to the most impactful causes around the world. You can read more about Boeree at her website, visit her Facebook page or follow her on Twitter and Instagram. You can also play online poker with Liv at PokerStars. Women are smarter than men is the main reason why they are "under represented" at the poker tables. Women understand that luck or variance or whatever euphemism you care to use determines who wins & who losses. Especially when the players abilities are equal or nearly so. I know purists will scream it's a game of skill but when the blinds are high late in the game it's all about who gets the cards & who doesn't. When I hear poker players say,"Well, I got it in good but got outdrawn again." What's that but a confession that luck determines who wins? Women know this & choose to do something smart with their money. And judging from the women I know,I doubt any amount of advertizing can persuade them to become dumb. Every game has elements of luck and skill (even chess). And that includes the greatest game of all, the game of life. Those who choose to pursue things in life they are passionate about will see many peaks and valleys along the path they want to take. The ones who persevere through adversity, and man those deep valleys can be tough, will find a satisfaction that people like you will never understand. Who are people like you? Negative, criticizing losers who in the case of poker , has either not succeeded in the game, or does not understand it, so they make inane and ridiculous comments that only show their sad and pathetic souls even more, while embarrassing themselves in the process. Not only is it obvious you don't understand poker, I'll lay 8/5 you don't understand much of anything. I know this thread is over 4 years old, but you really put things in perspective, and hopefully put that nut job in her place. Poker tournaments are open events... if women are under-represented is because only a little number of women choose to play poker. There's nothing discriminatory in this under-representation, it's just a matter of choice. Still, I know that this kind of approach is common in the english-american culture, so I'm not suprised, but I retain my opinion that making women feel like a "special" category only emphasize gender differences further. Precisely. It's the same argument the FemNazi's tried pulling over women in the STEM fields. But the cold, hard reality is that women aren't in STEM, or Poker for that matter, because they choose not to be. The lady above you swore it was because some are smarter than men, so they choose to spend their money on smarter things. Of course, that just was a typical, reactionary, emotional response with no logical value whatsoever. my guess is that she's another of those "all people are equal, but some women are more equal than others" types. Liv , Instead Of Naming The Poker Card Game After The " DevilFish " Like I Suggested The Other Day To You , Why Don't You Have Some Sort Of Contest Amongst All Female Players To Name My Card Game For , By , & After Female Poker Players Only ? Just A Thought , I'm Open To Your Suggestions & Comments . Right Now , I Just Call It " NE 2 WIN " Holdem Poker . Have A Blessed Day Everyone ! In a free society, yes. Women-only poker tournaments should exist if people want to play in them, as long as men-only tournaments can exist if people want to play in them. 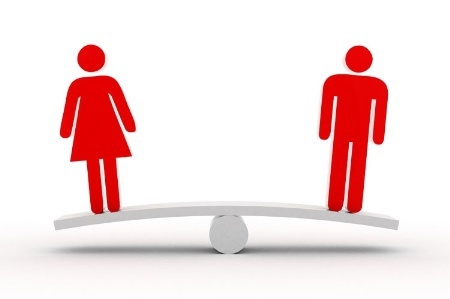 Men and women are not equal. Women are superior to men in some ways and inferior to men in some ways. Ms. Boeree seems to think that everyone agrees that the ideal world is a world in which men and women have the same desires, ambitions, goals, etc., including the same desire to play poker. The truth is that, in general, men and women are very different in a lot of ways. It is okay if women want to do some things only with other women. Likewise, it is okay, (or at least it should be), if men want to do some things only with other men. Beyond the legal right to pursuit happiness being granted to everyone, the notion that we are all free and equal, or should be equal, is absurd. You cannot have true freedom unless you are free to be, or become, better or different than others. You cannot become better if we are all forced to be equal to each other. If women are paid less than men, it is because they are not worth as much as men, they are not as good as men at negotiating for a better salary or wage, they choose to make career and income less of a priority than men, or they are not as good as men at creating or seizing opportunities for themselves. The same principle applies to women playing, or not playing, poker. Gender equality shouldnt mean that both genders participate in equal numbers and if they dont you skew the system until they do. Equal treatment means that all are given an equal chance, the same rules apply and its a level playing field. Women dont play poker as much as men because in the gender roles of our societies competitive activity such as poker is unfortunately still seen more as something appropriate for men and women tend to shy away from such occationally confrontational activities. But the playing field is level. As for having to listen to crap about being a woman, we all have to occationally listen to all kinds of crap about something at live poker tables. It can be an intimitating experience for any newcomer. If you start to accept different rules for different groups of people, not because the playingfield isnt truely level, but so that a certain group of people would feel more comfortable, there is no end to that. You should then be willing to accept men only events in any activity based on it being more fun not to have those women around all the time. As for it being "surprising" that many in the forums would argue against broadening the player base, its precisely because if you accept different rules for weomen here, this should be applicable to any activity. Thats why they are called principles. What isnt surprising, and is more common in poker forums, is what you are doing here, which is to bend the rules and principles when it is in favor of you, your employer or poker. Thats to say you are willing to accept differential treatment for different groups of people to widen the poker player base because you see a benefit in for poker and ultimately yourself. Thats not what principles like equal treatment should be about. ... and I'd like to add that I dont have a huge issue with women only tournament, people can do what ever they want as far as I'm concerned. But thats only if men only events are also allowed and more broadly, that sort of discrimination is allowed in any context besides poker. I'm not sure many are willing to go that far. players who adopt a belligerent persona to "amp up" their game. The only reason women get blow-back (from a small minority) on women's events is because the women's lib movement declared war on "men only" venues. Otherwise, most everyone doesn't and shouldn't give a damn. I agree with Trent on Senior events. It's great to have events where a 65 year old doesn't have to compete with a 25 year old in focus, concentration, and endurance. This year the WSOP has a "Super Senior" event, 65+ to play, for the first time. I will be gladly playing along with two of my oldest friends. Very excited. I don't know Liv well enough to say if I agree with her views on the various issues surrounding gender equality any more than her views on whether the universe will end in a Big Crunch, or a Big Freeze, etc. However, she is right on with respect to this topic. The question of why women are under-represented in the world of poker, whether by choice or because of some sort of systematic discrimination, isn't really important to the question of the legitimacy of women-only events. These events exist precisely because nearly half the world's population is severely under-represented. So it should shock or dismay no one that product/service providers may take special steps to reach that demographic. It’s called capitalism. The day that male-only tournaments provide the same sort of potential to increase profits, is the day you will see them as often as female-only. I wouldn't be counting on that day arriving any time soon, though... maybe by the time of the Big Bounce. WOMEN'S EVENTS ARE FINE, SO LONG AS MEN'S EVENTS EXIST!!! Further more, those lunatics who booed Abraham Korotki and the other men who entered their "ladies only" tournament, did nothing but embarrass themselves and prove that they're lesser qualified players who need a handicapped league to survive.